The light emitted by the Temis LED outdoor wall light shines upwards and downwards on the house wall to both illuminate the outdoor space and enhance the look of the house façade. 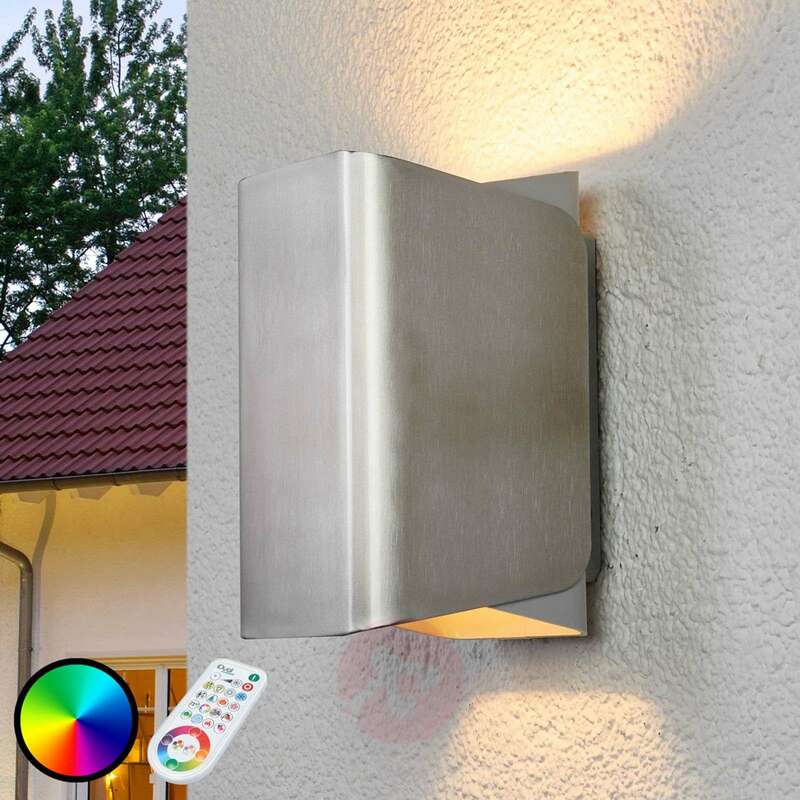 The remote control (included) allows you to choose from a wide range of luminous colours thanks to the iDual technology. 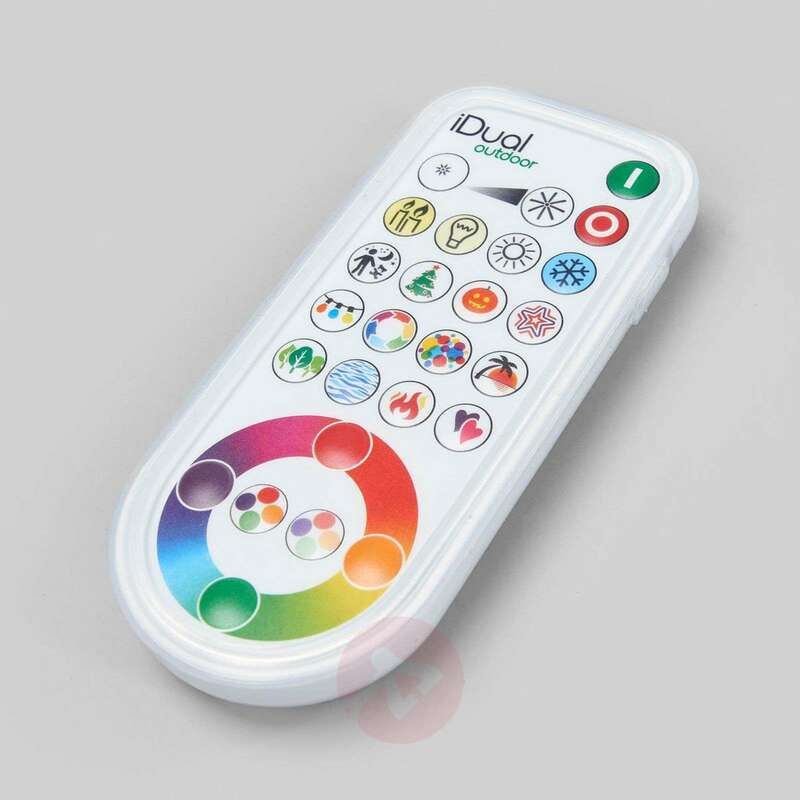 The spectrum spans from white lighting in four different colours ranging from warm white to daylight (2,200 - 6,500 K) to coloured lighting in hundreds of colour nuances as well as preset lighting scenarios, which can be selected at the touch of a button on the remote control. You can even create and store your own lighting scenarios. 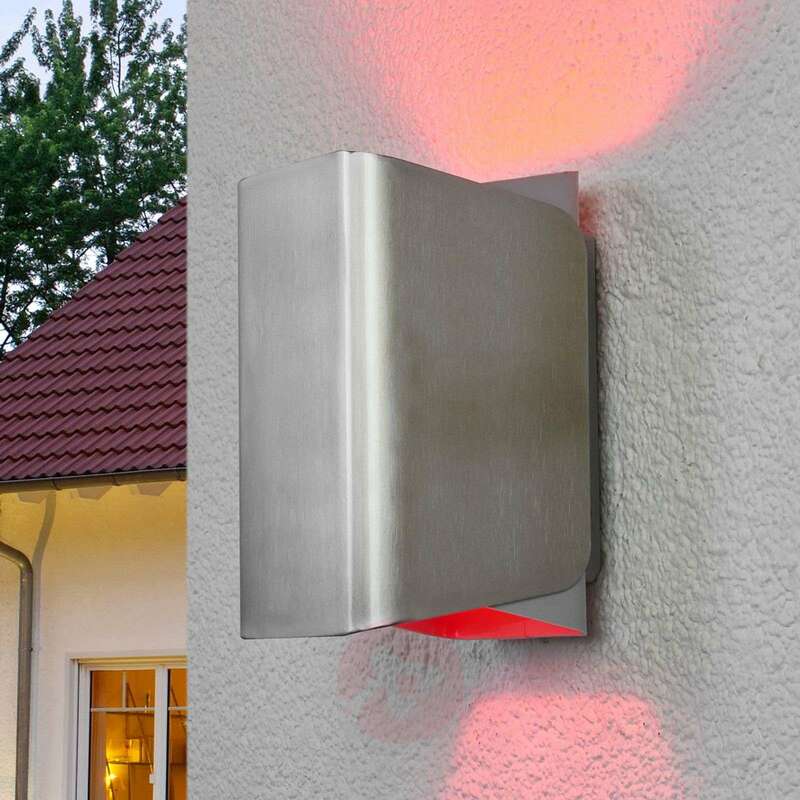 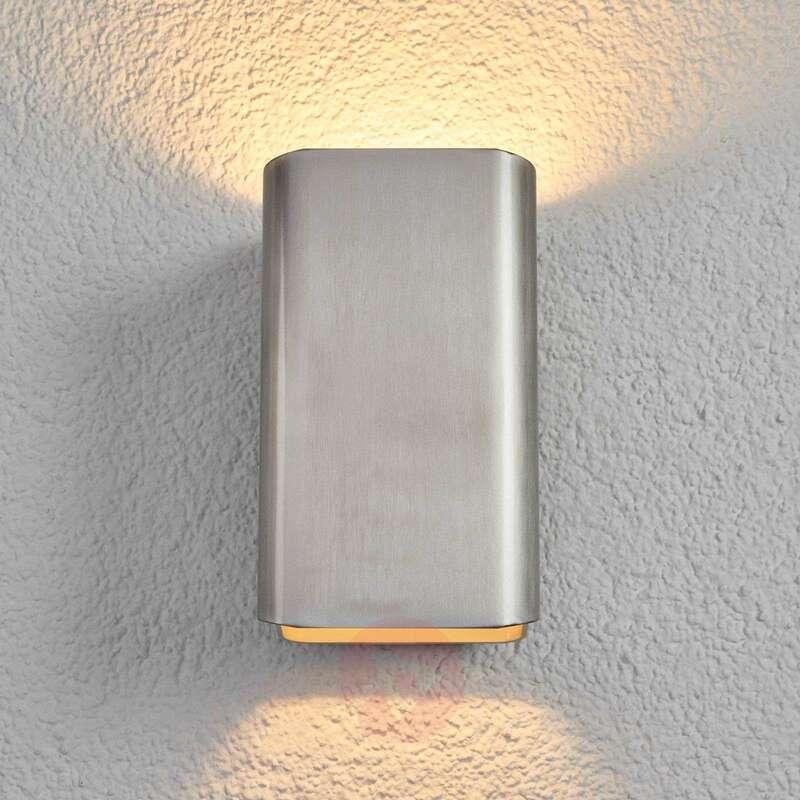 The body of the Temis LED outdoor wall light is made of metal and comes in a brushed nickel look. 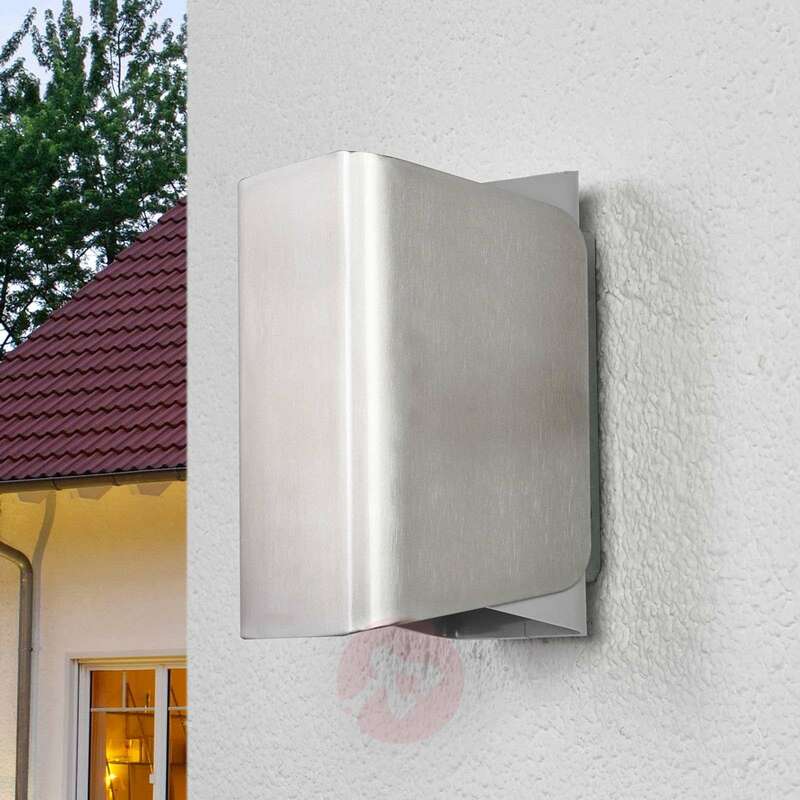 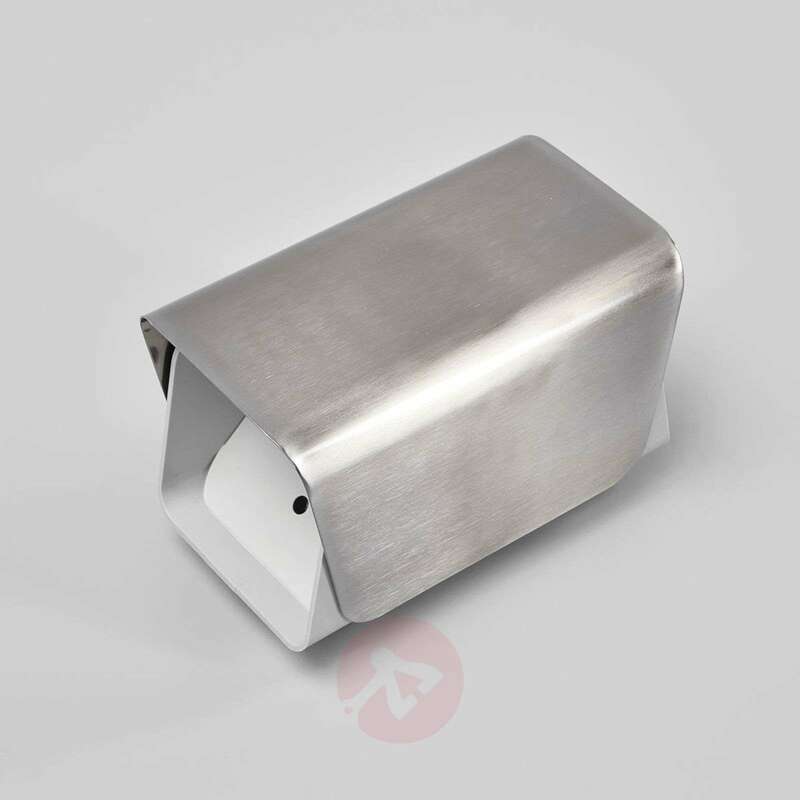 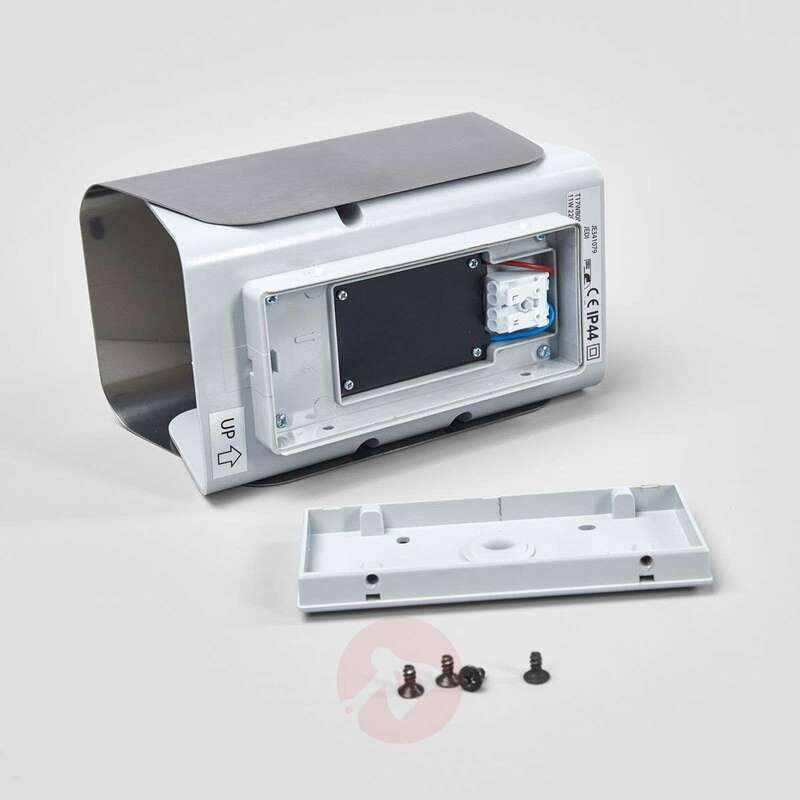 The upper and lower diffusers are made form high-quality plastic.